Brake winch safety and rugged construction at an economical price. Raise and lower loads with minimal effort, with load locked in place, even when the handle is released. 350 lb. capacity galvanized finish. 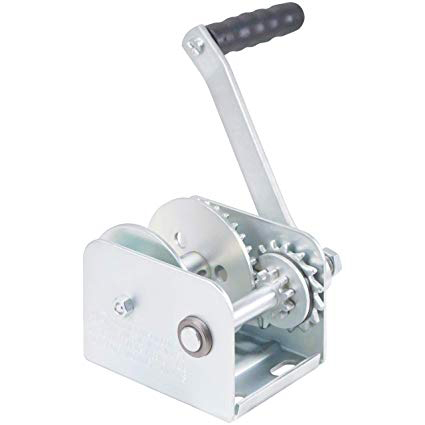 The winch has a 50 lb. minimum load required for it to operate properly.